With three forthcoming projects slated to be released before the fall, Big Sean has quite a schedule in front of him. 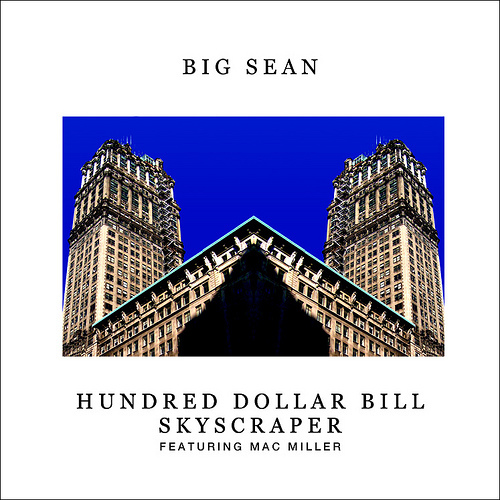 That didn't stop the G.O.O.D Music spitter from linking up with Mac Millera freebie collaborative track “Hundred Dollar Bill Skyscraper”. Produced by Drumma Boy, the track features a hazy tried and true sample of The Blackbyrds' "Love Is Love", which has previously been flipped on TiRon's cut "Ms. Right" off his MSTRD LP as well as on MF DOOM's track 'White Willow Bark" from his instrumental LP, Special Herbs, Vols. 4, 5 & 6. While there's no official word on if and where the track will land, my best guess would be fans can likely expect to find this loosie on Big Sean's upcoming mixtape.